Wait… did you read that clearly? It says they’re using a tool to check if the website is trustworthy. That means, before ever checking your landing page, ad copy, ad image, and targeting… they’re first checking to see what other people THINK about you. Now that I’m certain they’re using this as step in their approval/disapproval process. I’m thinking this is a pretty important reputation to improve to maintain a positive rep with the ad account… especially if you’re business is reliant on Facebook Ads. Why is this really important to you? You don’t even have to have “malware or phishing” on your site.. if you have a negative rating for any reason this is the default warning that is displayed (from the research I did). This site goes on to show a possible “conspiracy” for gaming the WOT system and how harmful the negative rating is. Monitoring our reputation on WOT has already been assigned to a team member. They are also responsible for ensuring that any negative comments are responded to and resolved quickly. I’m also recommending to all my clients to create a profile and ask their customers to leave honest ratings for their websites. 2. 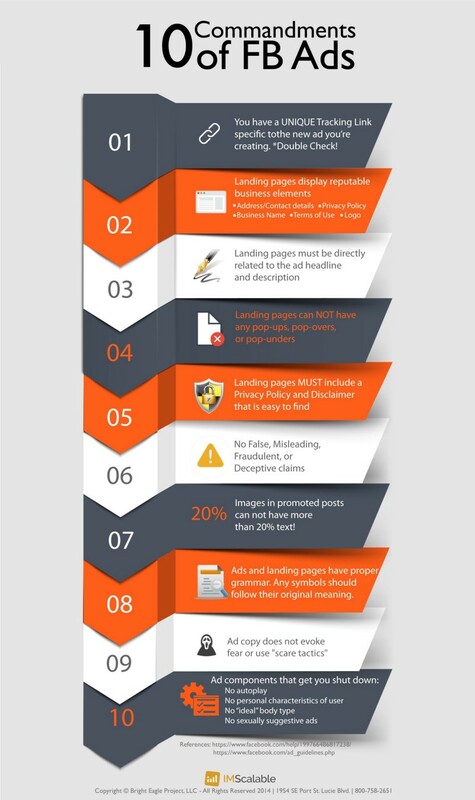 Is your Landing Page Working For You? Make this as one of your “FB commandments” , ALWAYS check the links before submitting ads for approval. 2. Geographic IP Address Restriction: Facebook Ads are reviewed from a variety of international locations. Therefore, if you are advertising an external website that is restricted to people in certain regions, your ad may be disapproved. I haven’t personally seen this shut down an account, BUT I personally find this a little “unfair.” I know.. life’s not fair. BUT if I’m advertising to a US audience and my reviewer happens to be in let’s say… India… why should I be penalized for this. Either way.. you’re held responsible. 3. Pop-ups: Ads may not direct to landing pages that trigger pop-ups or pop-unders when someone arrives upon or exits the page. This has been a Facebook Guideline for as long as I can remember. In fact, this is also on our “fb commandments” checklist I mentioned above. I’ve even had clients tell me they “got away with it.” Unfortunately with Facebook cracking down, we don’t even risk “getting away with it.” Follow the rules, or don’t whine when you get kicked. Remember back when Google used to opt-in to your landing pages to see where it sent the user next? Yeah.. Facebook is doing that now. We’ve heard from a couple of sources that they’re checking the page after the opt-in. This is why we always recommend sending clicks to content that is optimized for conversions to your offer. This makes the argument Null and Void. Your ad says “they’ll learn XYZ” and the page they land on gives them “XYZ.” It just so happens that the article the Facebook ad sent them to has a highly relative offer to the article in the sidebar and at the end of the article. This isn’t by chance… it’s strategically crafted to make our ad dollars profitable. Now, if on that article page you’re advertising or linking to an illegal or “prohibited” product not allowed to be advertised on Facebook… then the content will still be disapproved. The offers linked from the article lander still need to adhere to the FB Guidelines. This falls under the “landing pages must not contain content, products, or services prohibited” part of the line item. 5. Autoplay — Video ads for health products and services may not be allowed to play automatically. 6. Claims — Ad copy must describe and represent the advertised or sponsored brand or product in an accurate and non-misleading way. Ads must not make unsubstantiated claims, including but not limited to price, performance and results. Any claim made in the copy should also be reflected on the landing page. Probably one of the easiest ones to get disapproved for and the easiest one to fix… You see, in the make health, wealth and dating niches it’s easy to have that headline that says, “Now You Can Finally Meet that Perfect husband, Or Bankroll Your Retirement, or Lose 100 Pounds in Just 6 Months” BUT these are all claims. 3. Are You “Exploiting” Current Events? Yeah… those used to CRUSH it in Facebook. That is until Facebook slowly started tweaking their guidelines. It took about a year for it to be completely against the terms of service, but they’ve finally done it. These line items are on two separate pages and have lead to MANY ad disapprovals. Images may not exploit political, sexual or other sensitive issues. Images may not use shock or scare tactics. Ads may not contain content that exploits political agendas or “hot button” issues for commercial use. You see, you used to be able to use images of the White house, Obama, government agencies, etc as long as they were mentioned on your landing page (because it was relative). So if you’re running a survival offer and you mention changes in the government affecting your survival preparations in a blog post… YOU GUESSED IT.. disapproved. Um… have you seen the survival niche? The entire niche is based around the fear that a catastrophic event will happen and they won’t be prepared. The only “positive” thing to say is “be prepared” but even in saying that you’re assuming the reader “isn’t prepared” and there for scaring them with your FEAR to get prepared… but I digress. This post got a LOT longer than I originally planned. It wasn’t meant to scare you away from advertising on Facebook either.. however, depending on the niche you’re in… I may have. Look, Facebook is going through a HUGE growth issue. Their recent actions remind me a lot of Google 5–6 years ago. We’ve decided to let Facebook find their way, but not with our advertising dollars. We’re still using Facebook as a part of our advertising strategy, but we’re making sure that our business is not 100% reliant on them. 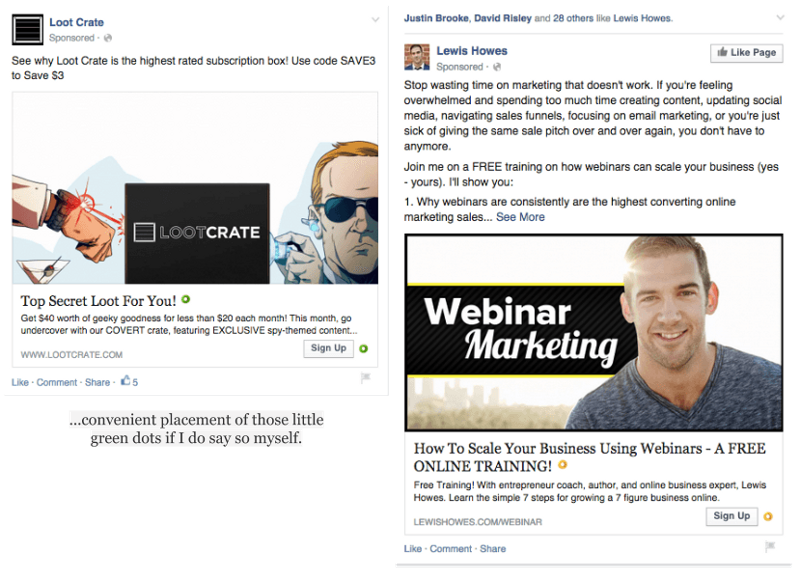 Facebook is great for retargeting and for advertising strategic content pieces. Our suggestion to you… do the same. If you’re going to hang around and deal with the inconsistent and unreliable behaviors of the ad approval team at least have your team use our “10 Commandments of FB Ads” checklist.